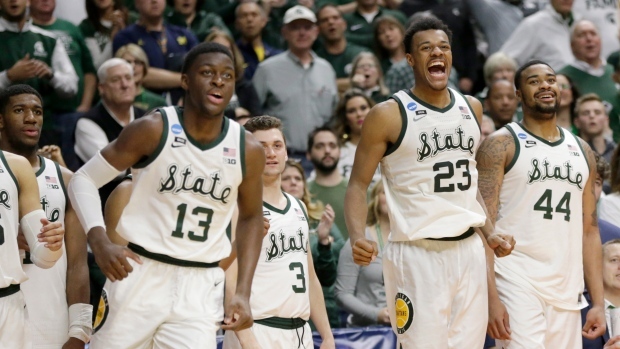 DES MOINES, Iowa -- Michigan State is back in the Sweet 16 for the first time since 2015 after rolling past Minnesota 70-50 in the second round of the NCAA Tournament on Saturday night. Xavier Tillman had 14 points, Winston added 13 with nine assists, and the Spartans shot 57.1 per cent. Amir Coffey had 25 points to lead the 10th-seeded Gophers, who shot a season-worst 30.5 per cent and made only 2 of 22 3-pointers.